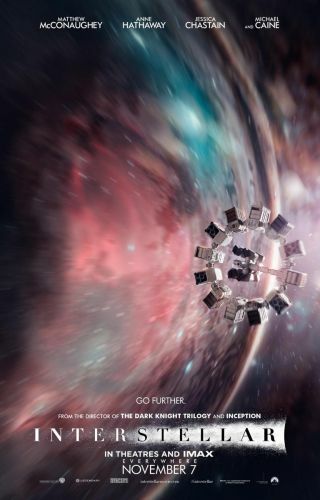 A theatrical poster for the 2014 film "Interstellar" shows the spaceship Endurance flying through a wormhole. Leroy Chiao, AstroCritic, is a former NASA astronaut and commander of the International Space Station. During his 15-year flying career, he performed six spacewalks and spent nearly 230 days in space. Chiao is the special adviser for human spaceflight to the Space Foundation and the Houston Association for Space and Science Education. He also holds appointments at Baylor College of Medicine and Rice University. Chiao contributed this Op-Ed to Space.com's Expert Voices: Op-Ed and Insights. "Interstellar" is a marathon that lasts 2 hours and 48 minutes — but it didn't seem like it. The story is interesting and engaging, and I enjoyed the film, despite a few holes. Whereas last year's "Gravity" was a film about spaceflight, "Interstellar" is not about space, though much of it takes place there. Rather, it is about human nature, frailties, relationships, and what motivates and drives us. Every real astronaut who leaves the planet has to deal with similar themes, be it the child who doesn't want you to go, or working through a stressful time with a member of your crew. This rings true to those of us who have been there. Is "Interstellar " science fiction? Yes, there is plenty of that. Technical people: Make sure to check your knowledge of physics and engineering at the door, or don't see this movie. But if you do see it, bring your imagination. The story will take you to different places, not unlike "2001: A Space Odyssey ." As with "Gravity," if you ignore the technical problems, you will enjoy the experience. In the film Interstellar, astronauts use a variety of spacecraft to cross the universe and explore alien worlds. See how they work in this Space.com infographic. As is usually the case, the spacecraft and spacesuits in the movie look much cooler than the ones that we really use. Single-stage-to-orbit vehicles appear to have been mastered in the future, but the interstellar vehicle is more of a rotating space station, allowing for artificial gravity. The astronauts also have great gadgets, like small, forearm-mounted thrusters on their spacesuits, which help them brake when jumping off planetary cliffs, or assist them in jumping up onto them. Since you wouldn't want the thrusters to burn through your suit, I suppose they would have to be some kind of cold-gas thrusters. But I didn't see where there was a tank large enough to store a practical amount of compressed gas, so I'm not sure how they would work. At any rate, they were pretty cool. Matthew McConaughey does a nice job of playing Cooper (Coop), the almost-astronaut-turned-farmer on an Earth that's turning into a dustbowl. Feeding the planet is the biggest problem, and things like space exploration are forgotten. Mackenzie Foy is excellent as the young Murph, Coop's daughter. A mysterious "ghost" leads Coop and Murph to discover an effort to get humanity off of the planet, in order to save it. Coop is going to get his chance to fly into space — but with prescient dread, Murph doesn't want him to go. Among Coop's crew is Amelia (Anne Hathaway), who also happens to be the daughter of a senior NASA physicist (Michael Caine). Together with the rest of the crew, they embark on an adventure that involves wormholes, black holes, time dilation and an odd robot, which in some ways seems also inspired by "2001: A Space Odyssey." The cinematography is breathtaking in some spots, even though it is a bit weird in others. The film captures the look and feel of Low Earth Orbit with the correct lighting and features, but takes liberties (as it must) depicting worm and black holes (especially the insides!). All in all, this film is worth a viewing. More than a simple would-be space sci-fi film, it will make you think about what is really important to you. For this reason, it is enjoyable. It made me think about my time in space and how being there made me reflect on life and the people who are important to me.